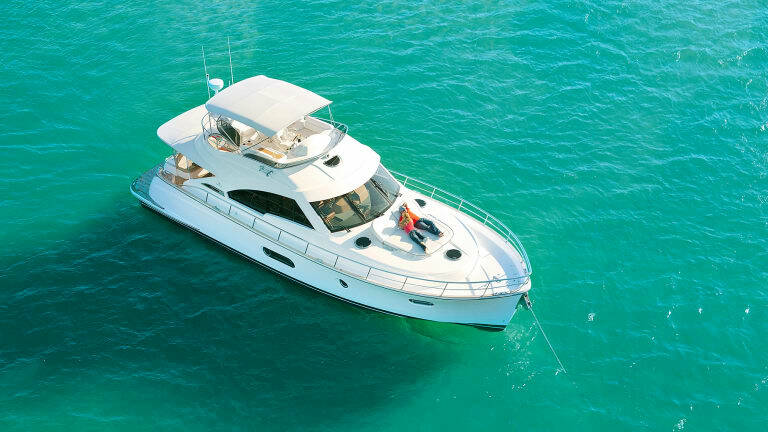 The Belize 54 is first and foremost a beautiful boat. 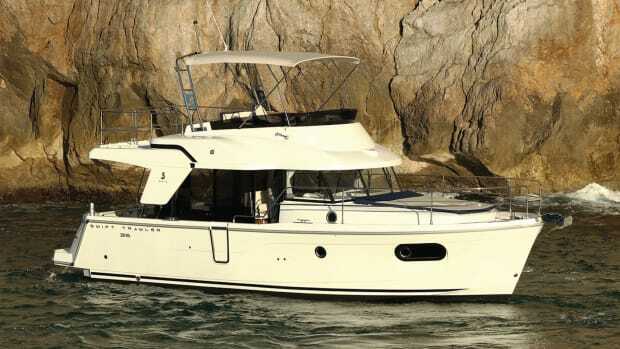 With a gently sloping sheerline and rounded edges on the transom and flybridge, she subtly resembles the commuter yachts of yesteryear—albeit a more modern one. 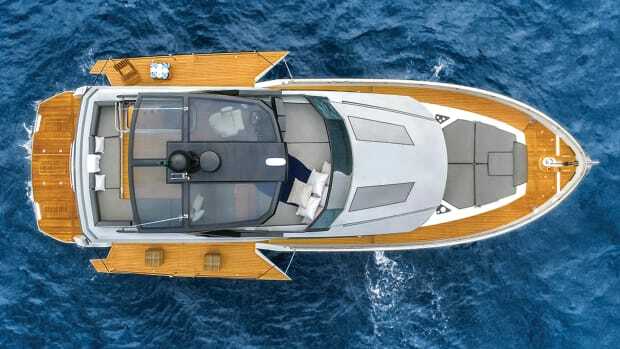 Equally as impressive as the shapely topsides is what the boat has going on below the waterline. 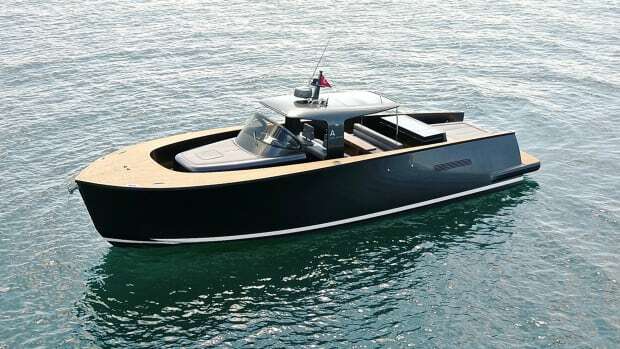 The hull was originally penned by Ocean Yacht Designs before undergoing further tweaking by the Australian Maritime College in order to maximize efficiency. 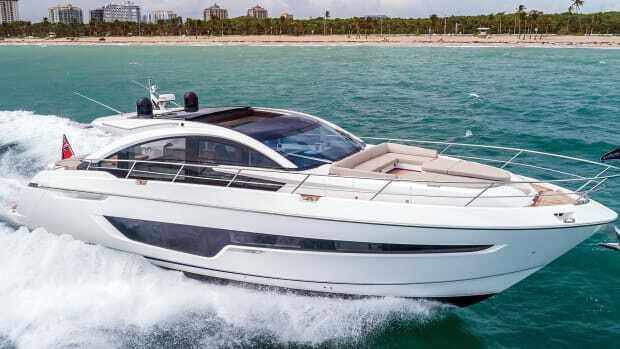 There are pod tunnels that keep the IPS (new on the refreshed 54; the original model launched in 2011) protected while a second chine in the bow, coupled with bow flare, should keep the boat dry when running atop sporty seas down under. 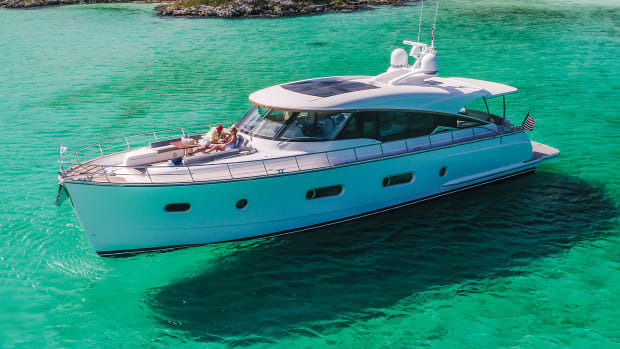 For Belize Yachts (a boutique brand and subsidiary of Riviera) it’s important that its boats are pretty—models have been sold to discerning owners throughout Europe—but because this is an Aussie builder there’s also an emphasis on practicality. Looking back at my notes from walking through the new version at Ft. Lauderdale I circled and starred three interesting factors that illustrate this point. First, the handrails all the way around the 54 are easy to reach when walking forward and are definitely overbuilt. 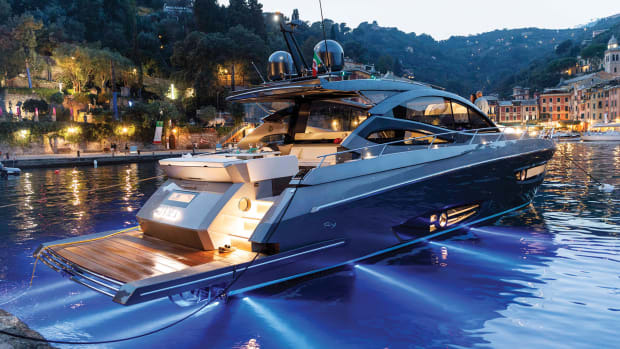 Second, access to the Volvo Penta motors (twin IPS800s are standard; IPS950S are optional) is good, but access to the pods themselves is exceptional. 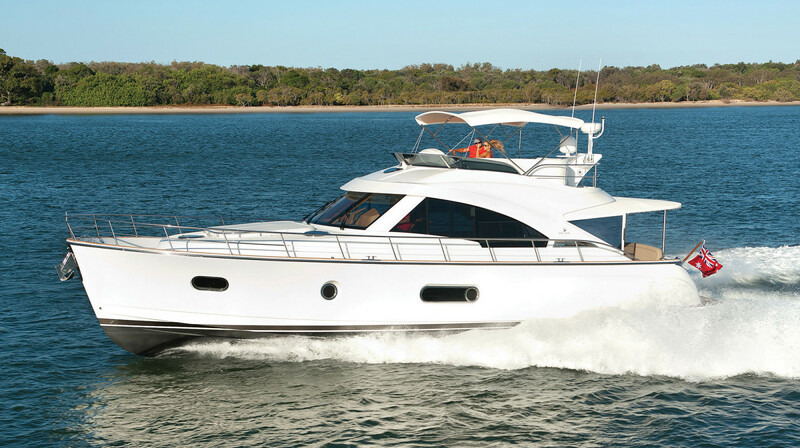 Again, these features reflect an Australian sensibility that is aimed at the owner operator. 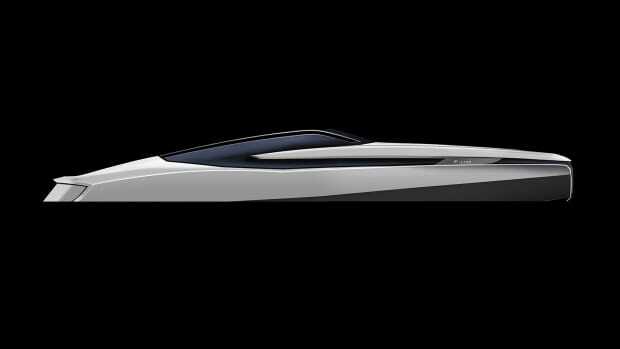 The implementation of IPS propulsion, from Zeus drives, was a decisive move for the builder based on customer demand. 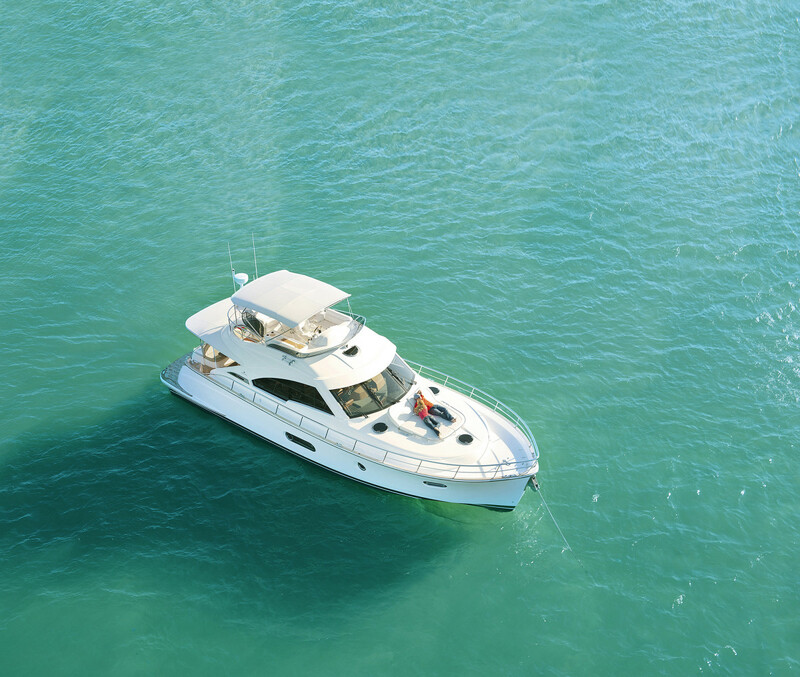 The ease of the system’s joystick maneuvering, along with IPS’s proven Dynamic Positioning System, should give the Belize 54 a boost in the American market. 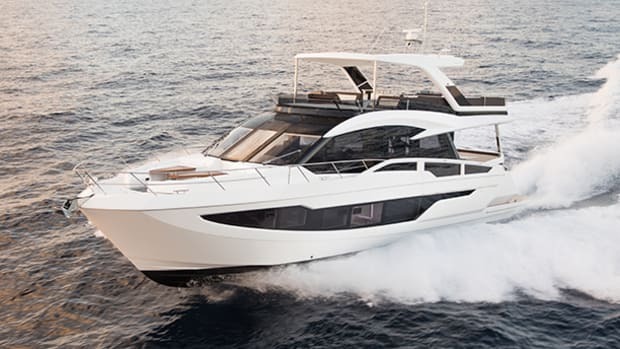 Other standout features on the three-cabin 54 (which is available in flybridge and sedan versions) include a massive grilling station in the transom (insert obligatory shrimp on the barbie joke here! 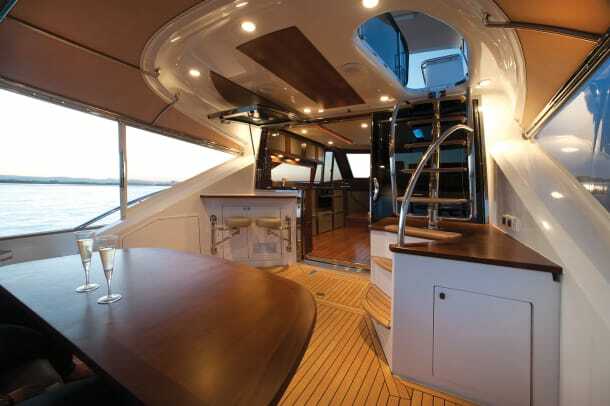 ), with a beefy handrail that will allow you to cook in comfort even when rocking from a passing wake. Swivel-out bar stools in the cockpit make for a comfortable place to have a snack or watch the water pass by. Also, the level of fit and finish is truly reflective of a boutique brand. 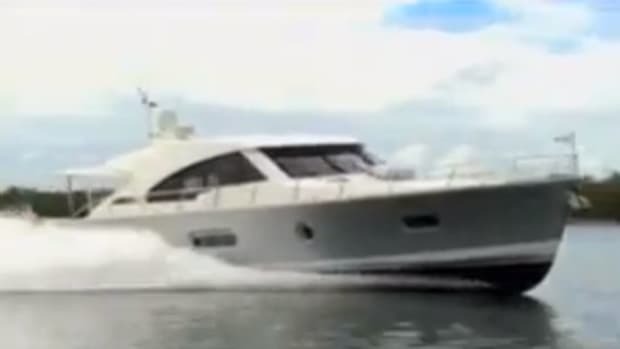 As I left the Belize 54 to continue walking the docks of the Ft. Lauderdale boat show in November, I thought it was interesting to note that it was almost four years ago to the day that Belize Yachts won the Active Interest Media (which includes Power & Motoryacht) “Most Innovative New Builder” award. After such an accolade and such early success it would be tempting to leave the model alone until it’s time to put it out to pasture. But that wouldn’t be the Belize way. The constant implementation of small (and sometimes not so small) changes is how one becomes an innovative builder in the first place. I look forward to climbing aboard the 54 again in another four years to see how much further this boat has come.